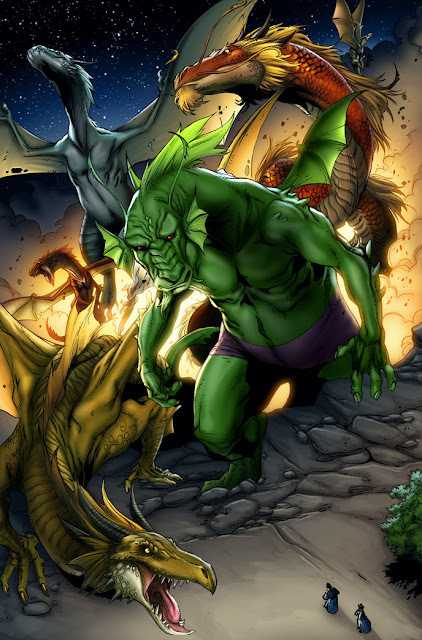 Fin Fang Foom is a fictional Character that appears in comic books published by Marvel Comics. The character first appeared in Strange Tales (Oct. 1961), and was created by Stan Lee and Jack Kirby. Making his debut during the Silver Age of Comic Books, Fin Fang Foom appeared during Marvel's period of post comics code experimentation with monsters, which would not be integrated into the Marvel Universe until the Bronze Age of Comic Books. The character has also appeared in associated Marvel merchandise including animated television series; toys; trading cards and video games. 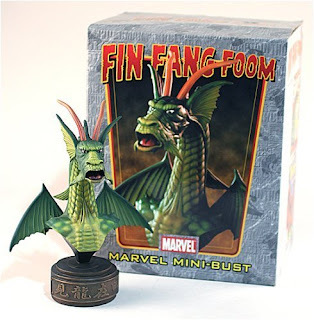 More about Fin Fang Foom (Marvel Comics) Character Review - keep on reading !! Fin Fang Foom is first awakened by teenager Chan Liuchow, whose homeland is under threat from invading forces of Communist China. Liuchow goads the dragon into chasing him into the Communist camp (which Foom destroys) and then back to Fin Fang Foom's tomb, where the creature is returned to sleep via the use of a rare herb. Scientist Doctor Vault locates and mentally controls the dragon for use against Vault's foe, It, the Living Colossus. After a brief battle, Fin Fang Foom resists the control and aids the Colossus against an alien invasion (intent on preserving the planet for the alien's own race to conquer at a later date) before returning to hibernation once again. 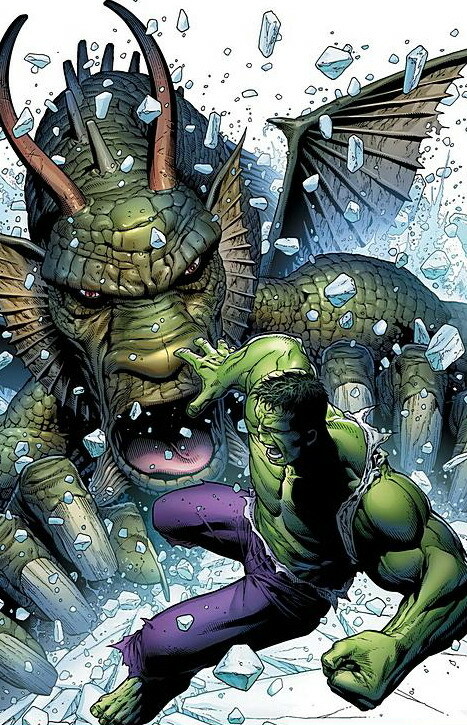 Fin Fang Foom is again roused from his slumber when his body is possessed by the demon "Aan Taanu". Combating a group of occult adventurers (including an older Chan Liuchow, now a Professor) known as The Legion of Night in New York, Taanu is exorcised from Foom's body, and the alien once again returns to hibernation. 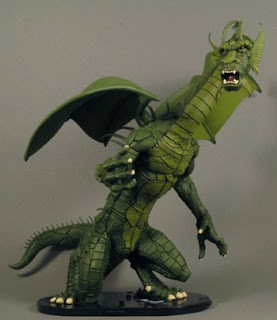 Although Fin Fang Foom's body is destroyed, the alien's spirit survives and bonds itself to a small dragon statue, which was stolen from a curio shop by teenager Billy Yuan at Fin Fang Foom's mental urging. 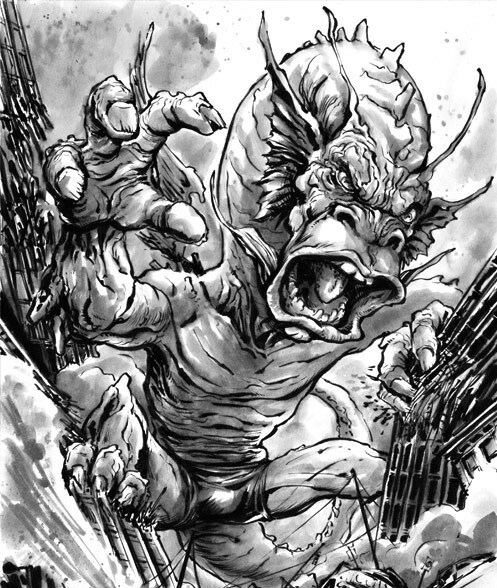 Using Yuan's body as a conduit for his power, Fin Fang Foom summons thousands of lizards from the sewers beneath New York, merging them with Yuan's body to recreate his own form. Iron Man, however, defeats Foom with assistance from the last remnants of Yuan's mind. Due to legal complications the defeated dragon is sent to Monster Isle once again. Fin Fang Foom and several other monsters also briefly battle the dimensionally displaced superhero team the Justice League of America. Fin Fang Foom is captured by the Elder of the Universe known as the Collector, and imprisoned with a subterranean collection of monsters. After being captured along with other monsters by the recently formed Fantastic Four and deposited on "Monster Isle", Fin Fang Foom returns to China and hibernation. With the other members of the Makluan crew dead, Fin Fang Foom decides to reform and becomes a follower of Buddhism. Entering into a rehabilitation program with three other monsters - the robot Elektro; the giant ape Gorgilla, and the alien Googam - Foom is shrunk down to human size, hypnotically stripped of all powers and allowed to enter human society. Fin Fang Foom becomes head chef in a Chinese restaurant within the Baxter Building, and teams with the other monsters to defeat the size-changing warlord Tim Boo Ba. Fin Fang Foom begrudgingly aids Wong (the servant of Doctor Strange) in defeating a force of HYDRA agents. The character possesses super strength, the ability to fly via his wings at supersonic speeds, and can spew combustible acid mist from his mouth. Foom is also extremely durable and can regenerate at a rapid rate. By entering into long periods of hibernation, Foom has managed to survive for centuries. The character possesses a gifted intellect, can communicate telepathically, and has access to advanced alien technology. Fin Fang Foom appeared in the animated direct-to-video film The Invincible Iron Man as the Mandarin's guardian in his ceremonial resting chamber. An image of Fin Fang Foom – based on the character's depiction in the Viva Las Vegas comic series but created specially for the film by artist Adi Granov – makes a brief appearance as an Easter egg in the 2008 live-action motion picture Iron Man (2008 Film).